Its over 250 years since Philip Astley first set up on a London Street presenting his jaw dropping displays of horse riding and tricks to crowds of adults and children that would wait hours to see him. As the show grew in popularity so did the acts and soon acrobats, tight rope walkers and of course clowns began making an appearance, thus the beginning of the circus. 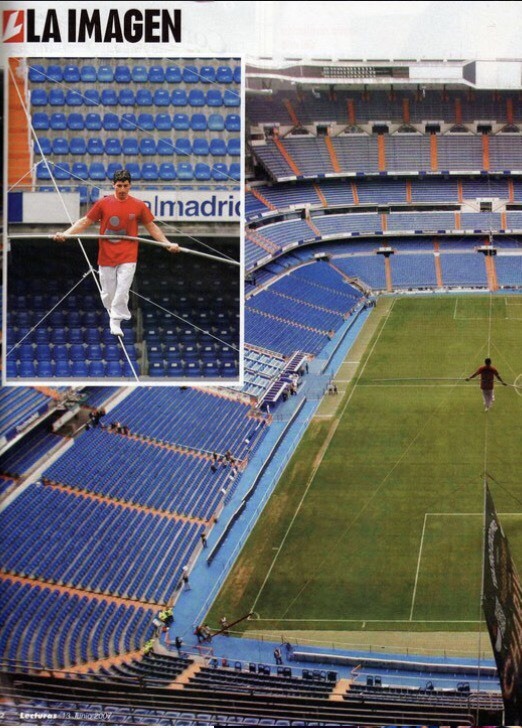 To celebrate the anniversary, world record breaking acts are flying in as part of a world tour. Death defying, adrenaline fuelled and edge of your seat excitement are the only way to describe CIRCUS EXTREME® an event paying homage to those early days of circus entertainment whilst taking those performances to new EXTREME® levels. 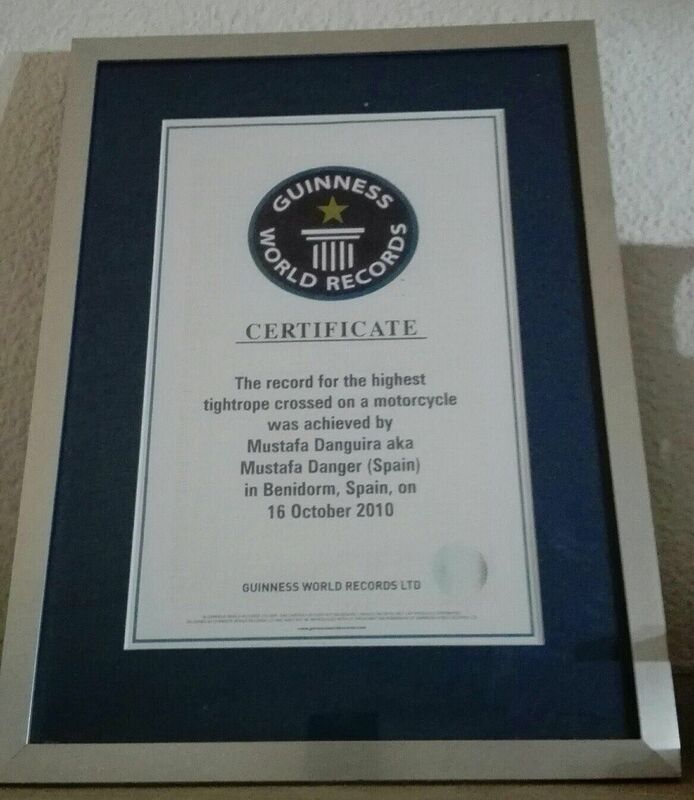 The first World Record holder is the incredible Mustafa Danger. 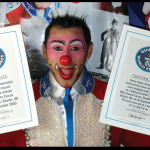 Born in Morocco, Mustafa started performing at just 11 years old and he is now the leader of the brilliant Danguir Highwire Troupe who will be preforming a high wire and double wheel of death stunt which has never been seen before in the UK. 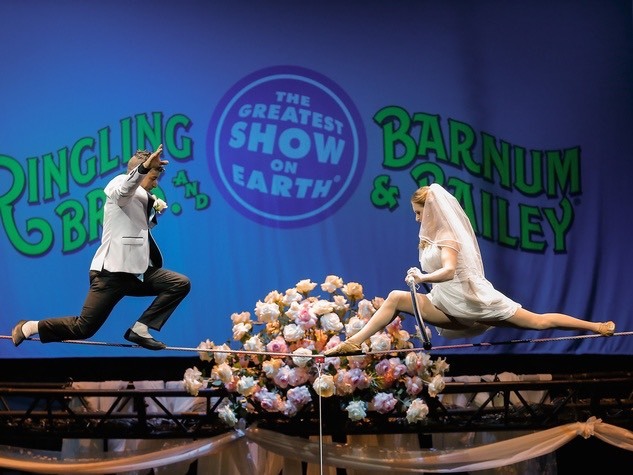 Mustafa recently married his wife Anna at the Ringling Bros and Barnum and Bailey circus in Texas. This wasn’t your typical wedding though; this wedding took place 30 feet above the circus floor on a high wire. 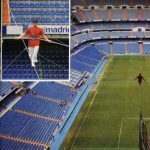 Mustafa has also impressed some of the best footballers in the world by crossing a high wire at the legendary Santiago Bernabéu Stadium in Madrid. 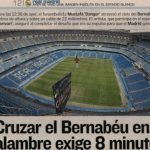 Home to none other than Real Madrid. In 2010 Mustafa undertook the unbelievable feat of riding a motorcycle across the highest tightrope in the world at over 426 ft in the air! Amazing! Next, we have world famous Henry Ayala this multi-talented performer who hails from Venezuela. 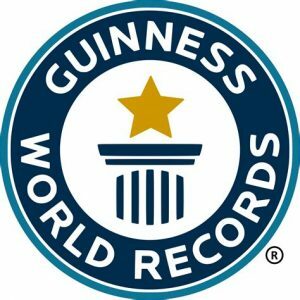 Henry, the Prince of Clowns, broke the world record for the most skips on a tightrope in just one minute, managing an incredible 211 skips in 60 seconds. That’s three skips every second! We’re sure the Prince will have no trouble keeping the audience entertained throughout the night. 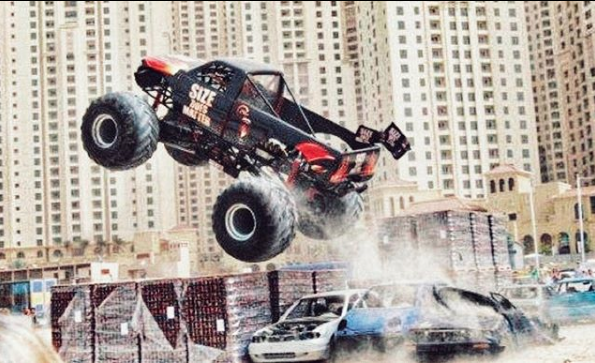 Last but by no means least, we have Ian Batey and the 10,000-lb Monster Truck Lil Devil. 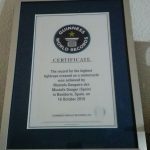 In 2010 Ian broke the record for the most cans crushed with a vehicle in three minutes. Representing Burn Energy Drink, Ian drove over 82,800 cans at the Jemeirah Beach Residence in Dubai. 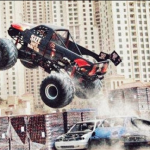 Lil Devil will be on display at CIRCUS EXTREME® to wow petrol heads and adrenaline junkies alike. CIRCUS EXTREME® will be flying into Manchester from February 9th until 25th at Event City. 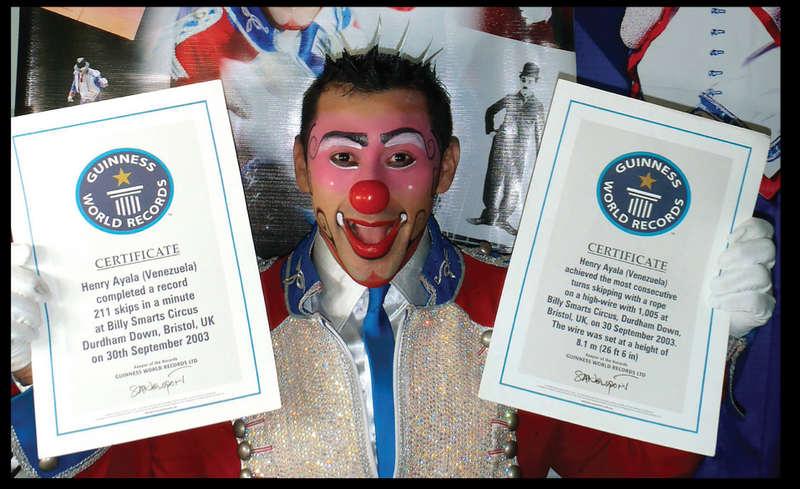 The show has been five years in the making and we are sure you will be blown away by the incredibly diverse world record-breaking performances on offer.